Dubai: In 2015, Apple started selling their glossy mobile phones and laptops in Dubai, after many years of conspicuous absence. Two years later, Tesla opened its first showroom in Dubai. Two of the world’s most visible brands had finally set up retail operations in the emirate, closing a chapter in Dubai’s ongoing quest to fill its malls and sidewalks with the world’s biggest names. This has not been a particularly difficult endeavour: Dubai has long been a prized location for many international brands to establish a presence, owing to its high margins, diverse population, lack of entrenched local rivals, and attractive tax-free environment. So much so that it’s easier to name the brands that aren’t here, than those that are. But according to Colin Beaton, a retail expert and managing director of consultancy Limelight, that may not be set to change any time soon. “You can guarantee that any big brand that would be a potential player has been asked to open here already,” he said. Those reasons may include a narrow focus on domestic expansion in their base market, plans to only expand in to their surrounding territories with no interest in the Middle East, or the wrong economics, Beaton said. Under the new foreign direct investment (FDI) law, which came in force in October 2018, businesses in certain industries can now be up to 100 per cent foreign-owned. Previously, foreign ownership of UAE onshore companies, or those outside of special economic free zones, was limited to 49 per cent. So which global names might we see in Dubai? Throughout numerous conversations with residents of the UAE on this subject, a few brands kept coming up. One of the most prominent absences from Dubai’s malls is Uniqlo. With over 2,000 stores worldwide, many of which occupy prominent spaces in iconic retail locations such as New York’s Fifth Avenue, London’s Oxford Street, and Tokyo’s Ginza, the Japanese fast fashion brand has endeared itself to shoppers in Asia, Europe, and North America. 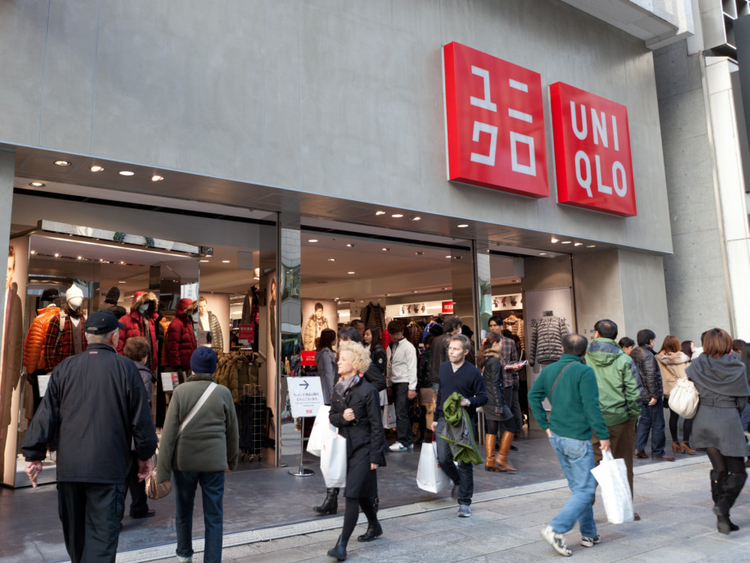 Last year, Uniqlo’s parent company Fast Retailing saw sales of 2.3 trillion Japanese yen ($20.6 billion). Given the influence of both Asian and European culture on Dubai, the brand’s appeal in both of those markets may explain why Uniqlo is so sorely missed here. Uniqlo did not respond to repeated questions from Gulf News about why it had yet to establish a presence in the region. Another clothing brand that appears to have all the ingredients to become a success in Dubai is Primark, the cheap Irish fashion retailer. A staple of many tourists’ shopping itinerary when visiting the UK, the affordable prices and range of styles has turned Primark in to a brand with annual revenues of £6 billion and hundreds of stores across the country. In 2012, a store popped up in Bur Dubai claiming to be a Primark. The London-headquartered company denied this, claiming they were seeking legal action against the imposter. The fake shop closed down shortly after. “As Primark operates under a public company, we do not comment on speculation,” a company spokesperson said, in response to a question from Gulf News about whether Primark had any intentions to expand to the UAE. According to one retail expert, the UAE may not be as attractive for new brands as it first appears. However, Shrivastava said that Primark was likely to be intent on expanding within the UK and Europe first. “Looking at their current footprint, they have a lot of room to grow within Europe and other Western markets before they start looking elsewhere,” he said. The majority of Primark’s outlets are currently in the UK, Spain, Germany, and Ireland. As for expansion plans, the company will open its first store in Slovenia later this year, followed by Poland and the Czech Republic in 2020. He said that for a budget brand like Primark, a market like India would be far more attractive than Dubai, if it were considering expanding further afield. On the food and beverage front, many have pointed to the absence of large US brands such as Chipotle and Taco Bell. Taco Bell did in fact have a presence in Dubai for four years, before closing down. The UK sandwich and coffee chain Pret a Manger was another visible absentee until 2017, when an outlet opened in Dubai Mall. The brand says it will open a second store in DIFC soon. On a slightly larger scale, some have suggested that big supermarket chains might be welcome in the UAE. Walmart, one of the largest hypermarket brands in the US, has close to 6,000 international stores. Likewise, US brand Costco announced in 2015 an international expansion strategy. The company currently has over 200 international warehouse locations operating in 10 countries outside the US. European budget supermarkets Aldi and Lidl have also been called on by some residents to establish operations in the UAE. So what happens when Dubai can finally boast the last few international brands that are holding out? “It’s unlikely that another local company like Landmark, which develops original brands for the market, will spring up,” Shrivastava said.